The 2010 Cadillac SRX Crossover with its new unique and versatile design, great equipments, efficient engine and good value has been named as the best mid-size SUV of 2009 by Middle East Car magazine. The car is powered by a fuel-efficient direct injected 3.0 liter V6 engine that with 265 horsepower and 201 nm, coupled to a six-speed automatic transmission. The dramatically-designed SRX injects emotion into a segment that is based on functional use and incorporates industry-leading technologies and features including an 8-inch high resolution “pop-up” navigation touch screen, USB connectivity, a 40 GB hard drive, Bluetooth connectivity (with NAV), a power liftgate with memory height, keyless entry, passive push button start and adaptive remote start. 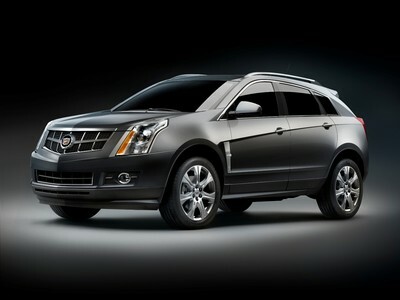 The SRX’s smooth handling blends the best elements of a sports sedan with top safety and excellent traction capabilities. Key among these are a new, advanced AWD drive system featuring an Electronic Limited-Slip Differential (eLSD) and a full standard offering of active and passive safety systems protecting occupants before, during and after a crash.